Let’s see how to install Gazebo 9 simulator to work with your ROS system. 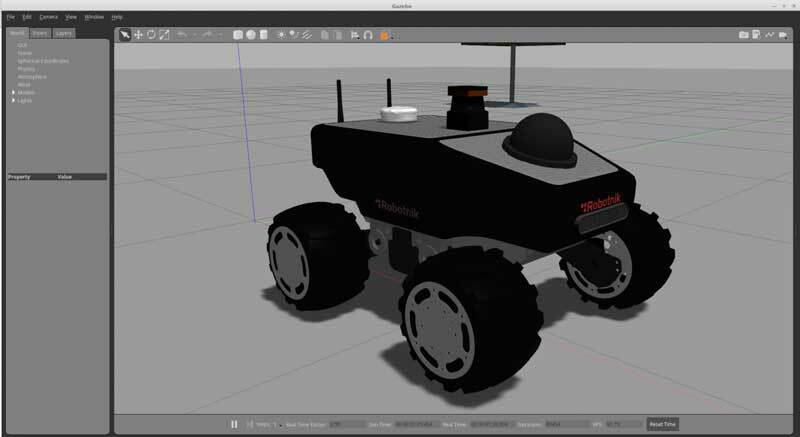 We are going to see how to replace the default version of Gazebo that comes with the installation of ROS and if previously existing simulations work (or not) with this new version of the simulator. Let’s see now, how can you proceed to change the default Gazebo version by the newest one (9.x as for 3rd May 2018). (replace ROS_DISTRO by your distro name. After having done the uninstall, no Gazebo files will be in your system, neither the ROS related packages. Let’s now install the new Gazebo 9. You will need to add the osrfoundation repo to your Linux package system in order to get the new packages of Gazebo. A window like the this should appear on your screen. So if you are reading this post is because you are interested in the combo Gazebo / ROS. 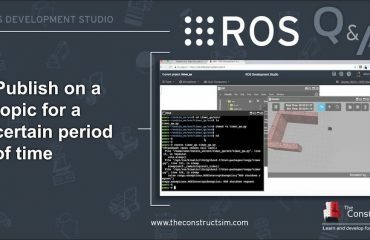 And your next question should be: will this new version work with our previously working ROS based simulations? The answer to that question is… it depends. It depends for which Gazebo version your simulation was made, and which parts of Gazebo does that simulation use. We have done the following experiments with some of our simulations. The result is the simulation running just showing some warnings related to xacro namespace redefinitions. There was no problem executing any of those. Bear in mind that it includes joint controllers as well as a couple of sensor plugins. So no modification was required in the simulation (remember, originally created for Gazebo 7.x). 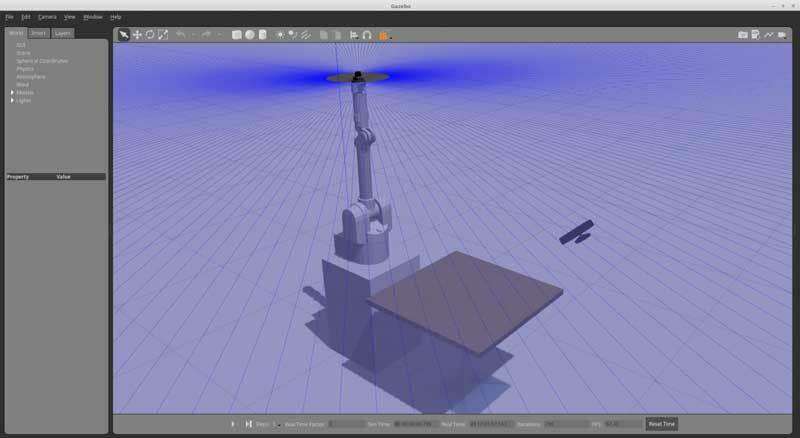 In this case, we decided to test a simulation created by the Gazebo team themselves, which they used for a competition and that was created for Gazebo 8. 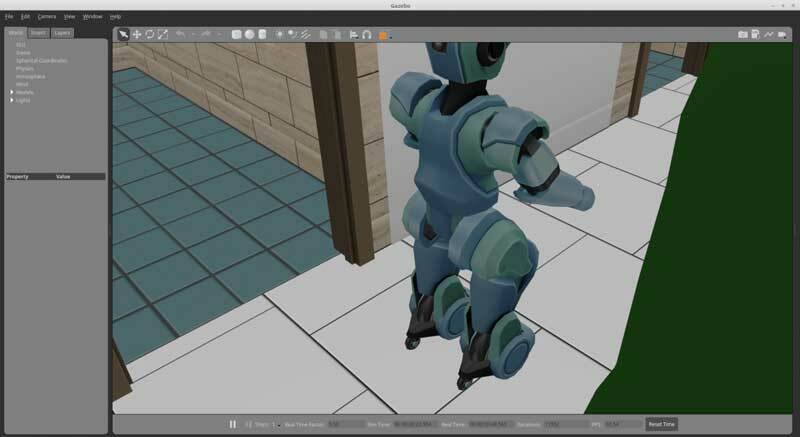 It is also an interesting simulation because includes a complete biped robot with several sensors, in a full office environment with people moving around, and plenty of stuff. Have a look at it here. The simulation worked nicely off-the-shelf. Gazebo is still and will always be a standalone program completely independent from ROS. This makes the work between them is not as smooth as it could be. One of the problems I see with Gazebo 9 when working with ROS is that Gazebo provides a lot of interesting robot models through their Ignition Fuel library. However, none of the models includes the ROS controllers. 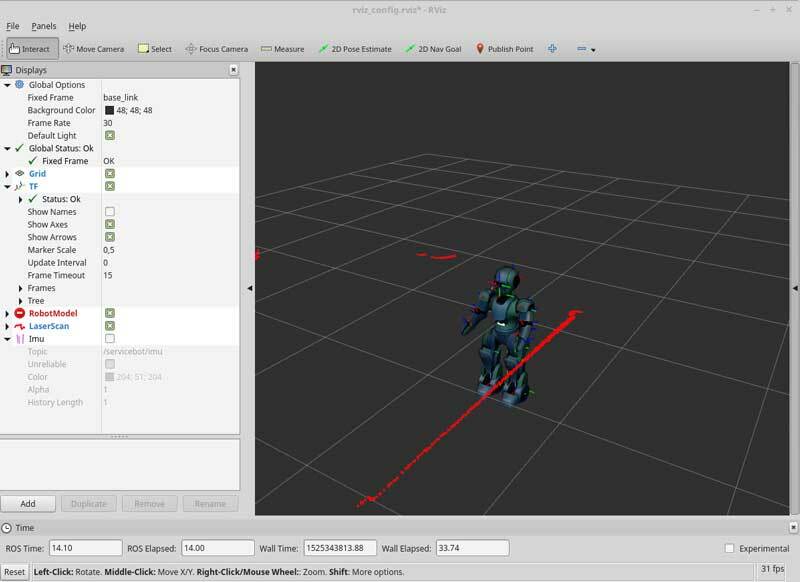 So in case that you want to use the models for a ROS based situation, you need to create the controllers by yourself. One example of this case is the beautiful simulation of the autonomous car environment created by the Gazebo team. The simulation is perfect for a work with autonomous cars, but the only support it has is for Gazebo topics. An additional problem with the models is that they have been created in SDF format. SDF is the default format for creating models and whole simulations in Gazebo 9, but that format is not supported by ROS. This makes more difficult to use the models in Gazebo + ROS simualtions since ROS requires a URDF description of the model to show it on Rviz. 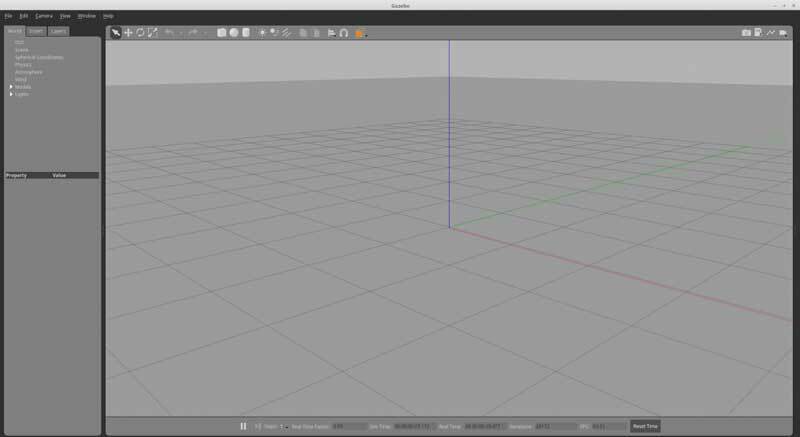 (just in case you want to convert SDF models into URDF, check the following tutorial about it). Based on that, could it be that the most convenient solution would be to change ROS to support SDF instead of changing Gazebo to support URDF? 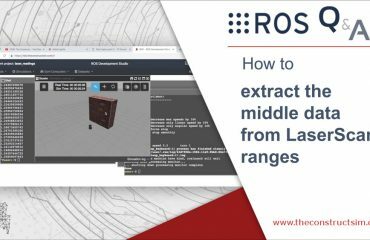 The ROS plugins for Gazebo 9 are the plugins that provide the access to the different sensors and actuators and other functionalities of the simulator through a ROS interface. 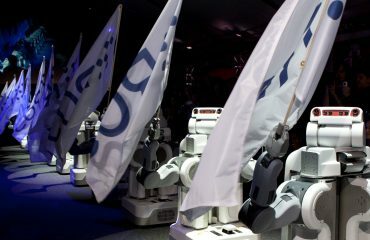 ROS plugins packages are provided as a different set of ROS packages from the main Gazebo 9 distribution. Usually, those packages are provided some weeks after the new Gazebo version has been released. The good new is that those packages for Gazebo 9 are already available (good job Jose Luis Rivero 😉 and you already installed them at the beginning of this post. If you where using standard plugins provided by ROS in your simulations, it is very likely that they will still work off-the-shelf. On the other side, if you have created your own plugins using the Gazebo API for that, chances are that they may not work and may need to adapt small changes done in the plugins API. 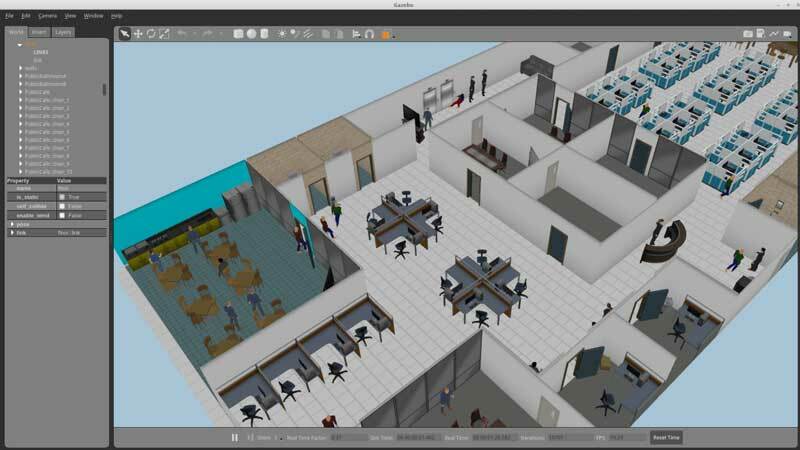 With Gazebo 9, the simulator reaches a very mature version were quite detailed simulations can be created. Just check for example the impressive simulation created by OSRF of an autonomous cars environment. Every new version we find new features, but more important than that, we find more stability (that is, less crashes). If you want to know what features will be included in the future versions of Gazebo and when are they going to be released, just check the Gazebo roadmap. [UPDATE] Listen to the interview we did to Louise Poubel, one of the leading developers of Gazebo 9. Available here at the ROS Developers Podcast. 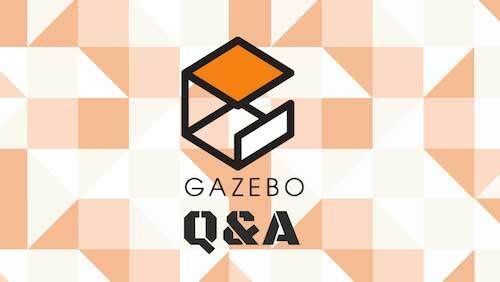 [UPDATE] All Gazebo ROS Q&A tutorials are available in Robot Ignite Academy now. Create an account to access all. Is there a way to install both Gazebo 7 and Gazebo 9 and be able to switch between them? The html is showing up in your command instructions above. But I don’t want to remove “ros-kinetic-desktop-full”, is it going to uninstall ROS Kinetic completely ?